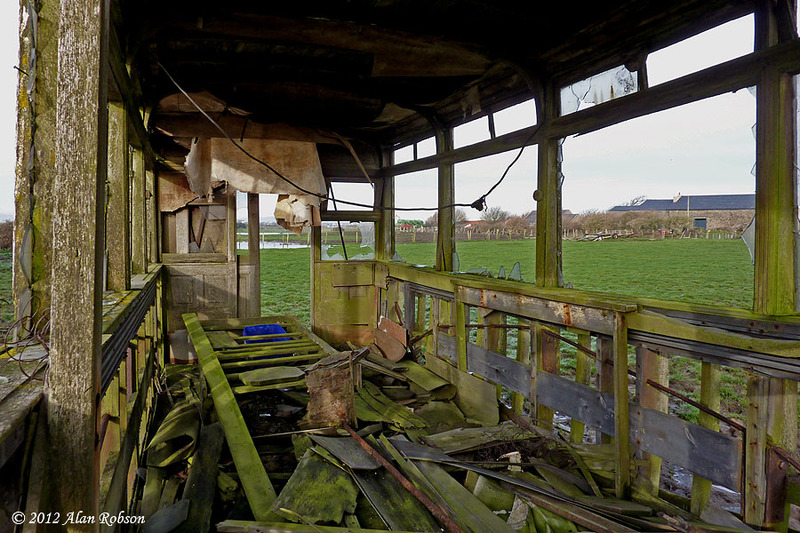 Less than 20 miles from Blackpool as the crow flies, lies a 110 year old tram body that has lain in a farmer's field for over half a century. 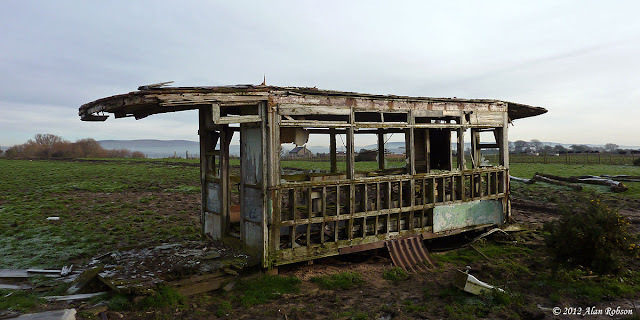 Sunderland Point lies south west of Lancaster on a peninsula of land between the River Lune and Morecambe Bay. 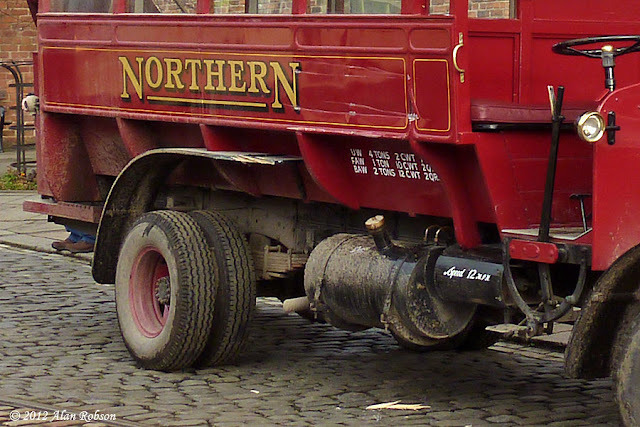 The small quayside was a thriving port during the 18th century, handling slave ships and cotton ships during the early days of the cotton industry. 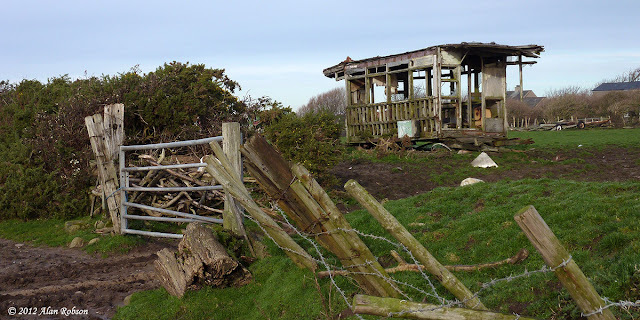 The access road to Sunderland Point village is cut off twice a day by the high tide, so the people who live in the small village have to time their journeys to the mainland to coincide with low tide. Originally there were several tram bodies in the area, from both the Bradford and Huddersfield tram systems, in use as holiday homes. 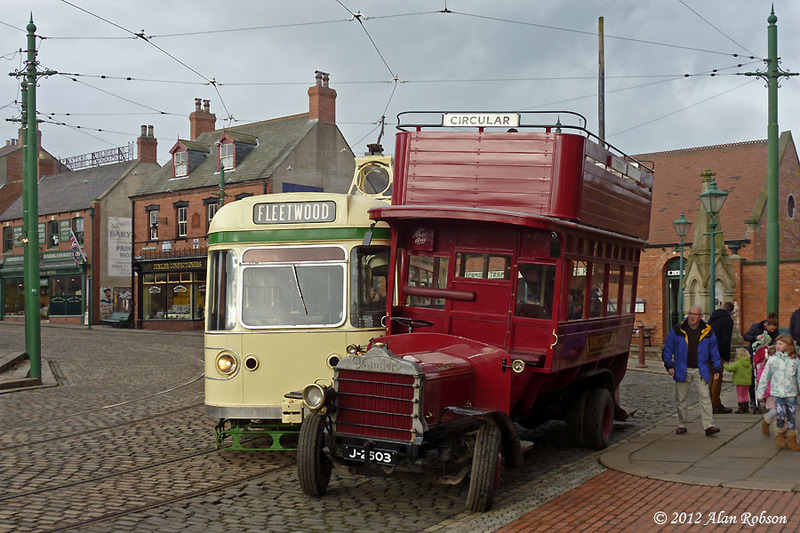 This tram body may be the only survivor now, and is believed to be from Bradford. 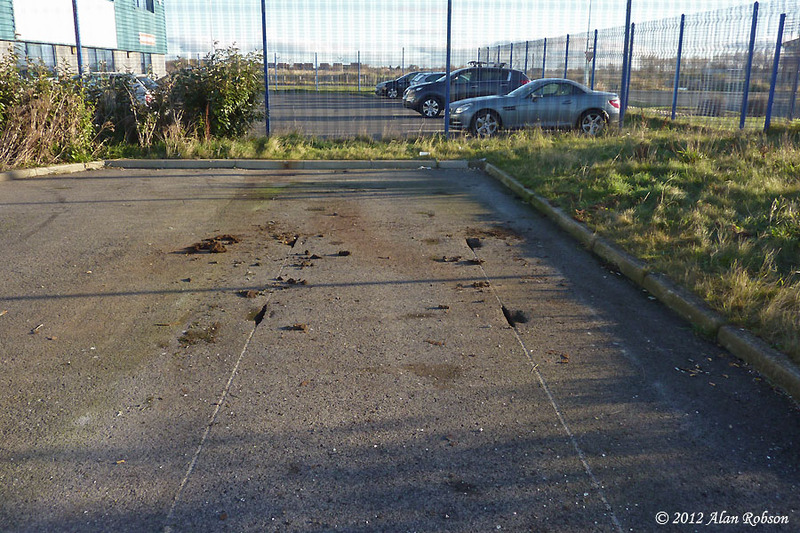 Centenary 646 was removed from Paul Gaunt's premises near Blackpool Airport on Friday 23rd November. 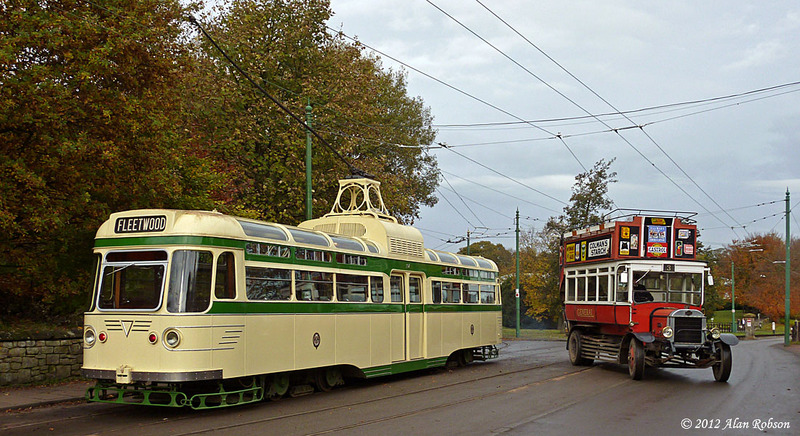 The tram had already been sold to a new owner, who had been salvaging various interior fittings and selling them off on eBay. 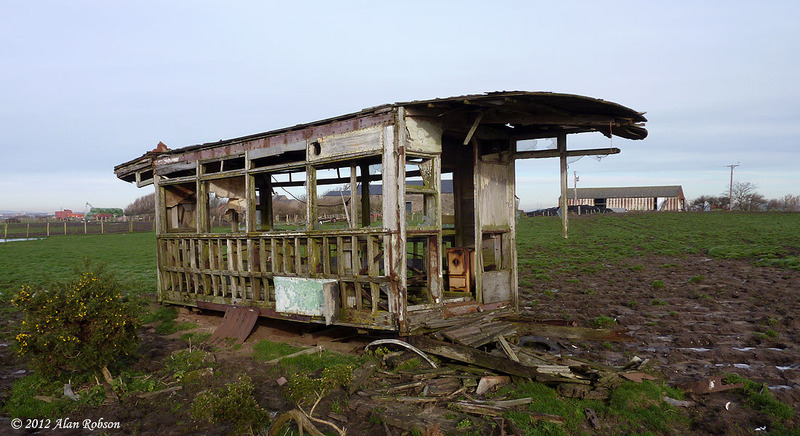 The bogies are believed to have found a new buyer and it is understood that the body is going to used as an extension to a caravan. 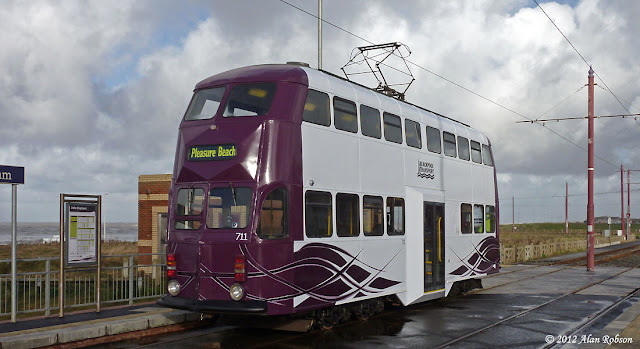 It had also been separately reported that the tram may have been on an industrial estate in Preston, but as none of this has been confirmed by sightings yet it can only be classed as speculation. 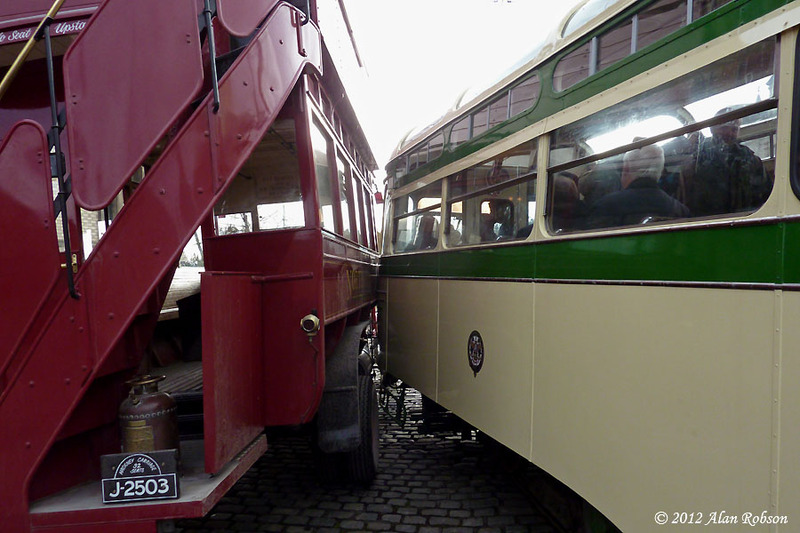 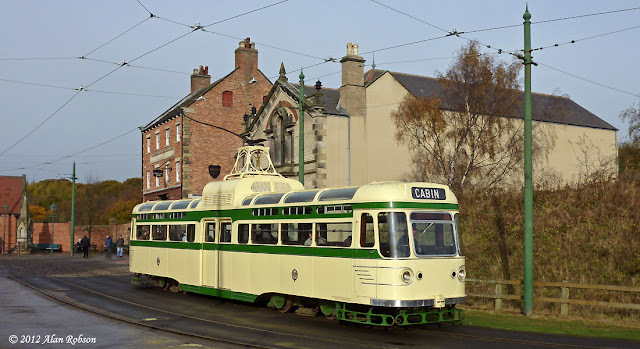 The only reminder that 646 was ever in Paul Gaunt's car park are eight one inch deep indentations, where the wheels had sunk into the soft tarmac, and a pair of grooves cut by the flanges where the tram was dragged across the car park. 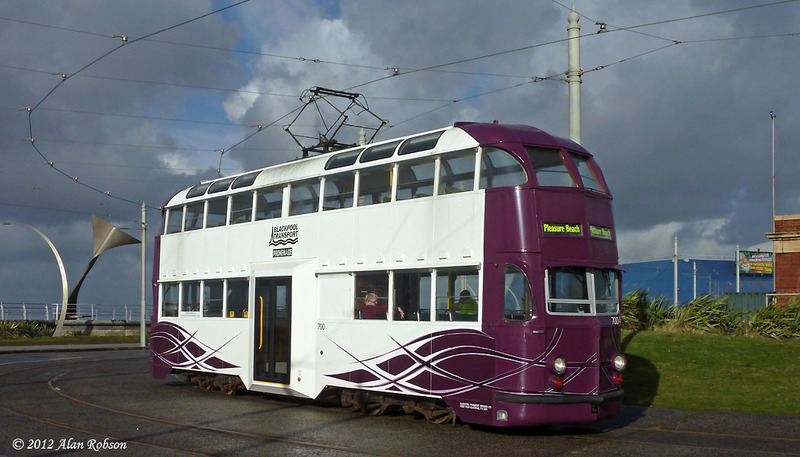 Centenary 646, which is currently stored in the car park of the Paul Gaunt furniture warehouse near Blackpool Airport, has changed ownership. 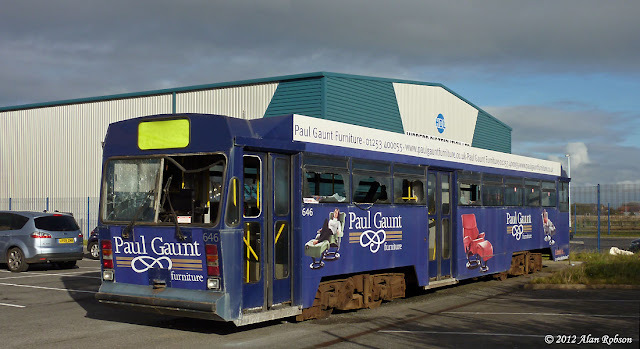 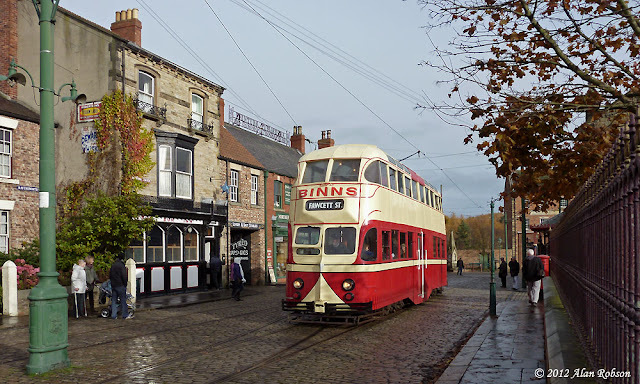 The new owner will be removing the tram from the Paul Gaunt premises, and has plans to convert it into offices complete with bedrooms and a bathroom. 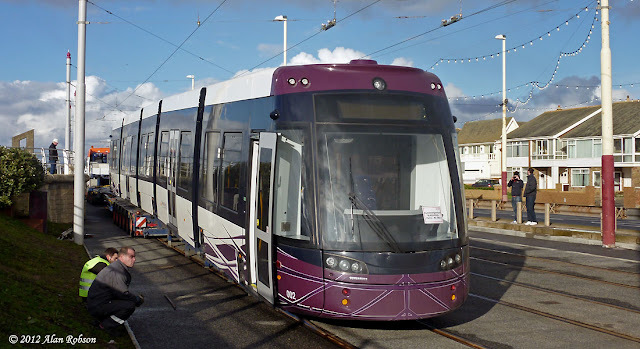 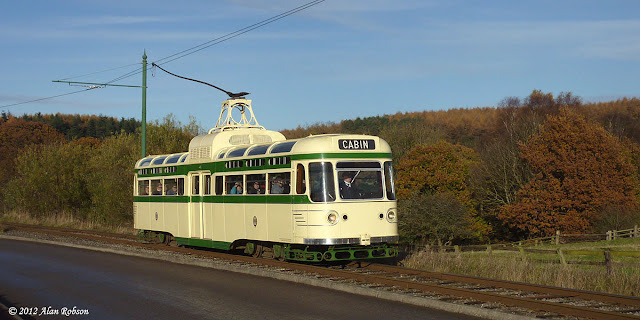 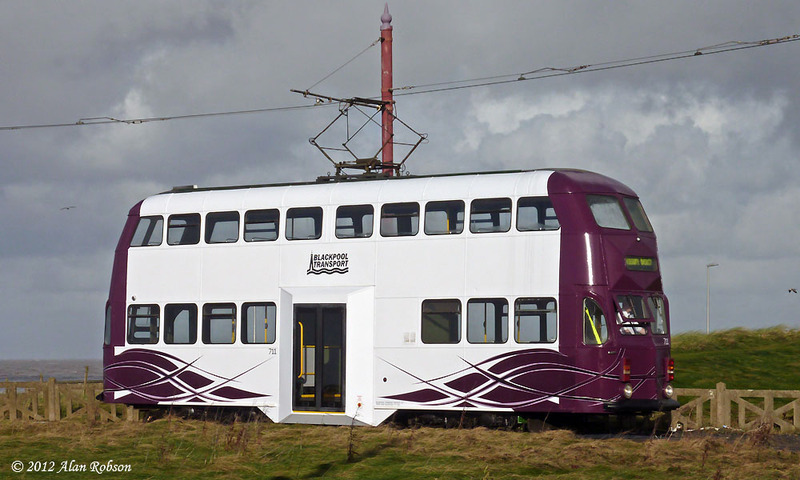 The tram is still available to purchase from the new owner via eBay, but if it can't be sold the internal fittings will be auctioned off instead, and the tram converted for further use as described above. Centenary 646 is having the interior stripped out and the parts sold off as souvenirs or alternatively the whole tram is up for sale. The Paul Gaunt advert tram was the subject of an attack by vandals at the beginning of October, in which several windows were smashed. 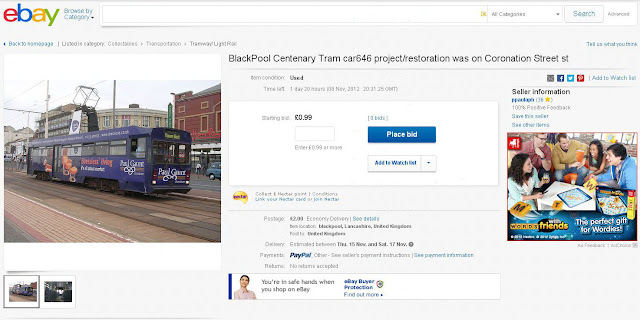 According to the auction advert on eBay, the owner appears to have plans to convert the tram for other uses, but is also prepared to dispose of it completely if a buyer can be found. The seller seems to be under the impression that the tram has appeared in Coronation Street, although it did carry an advert for "The World of Coronation Street" back in the mid 1990s. 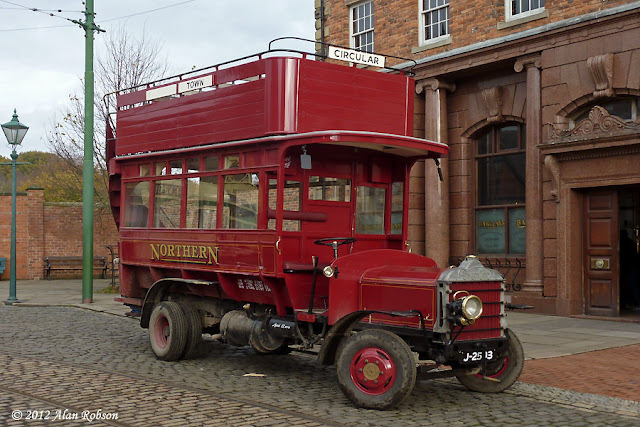 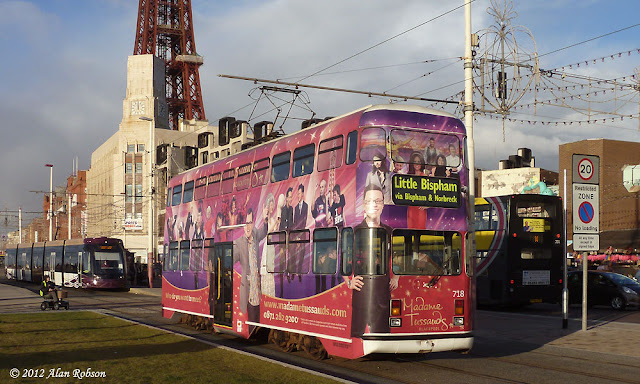 Blackpool Coronation 304 is currently on a short term loan to Beamish open air museum courtesy of the Lancastrian Transport Trust. 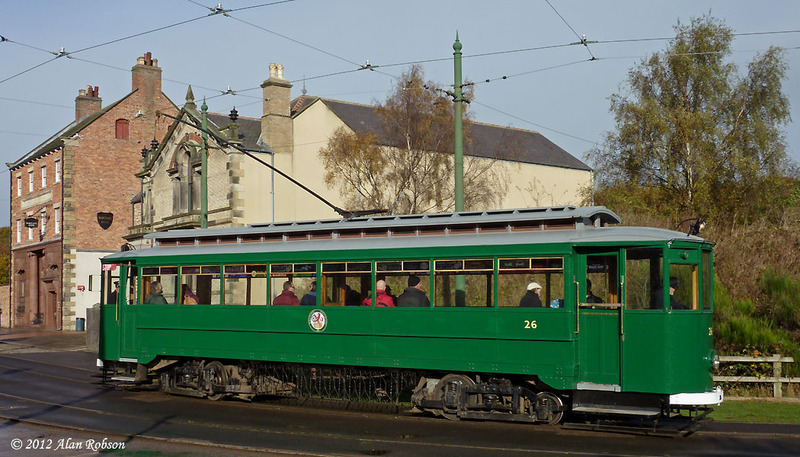 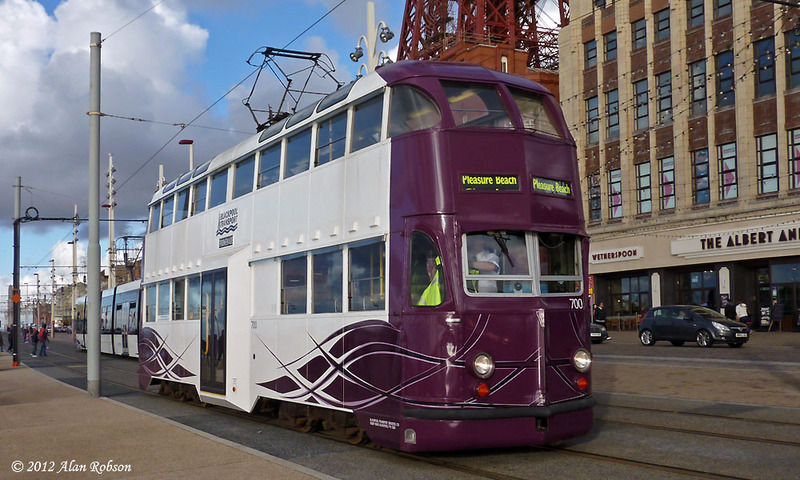 304 departed Blackpool for Beamish on 11th October, and after an initial commissioning and testing phase entered service at the museum on Saturday 27th October. 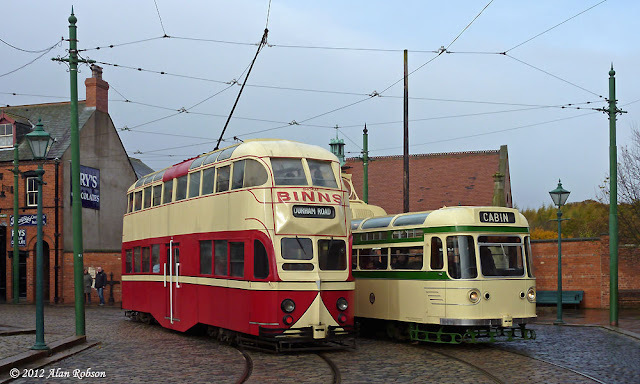 The plan was for 304 to operate at Beamish for three weekends before returning back to Blackpool for storage. 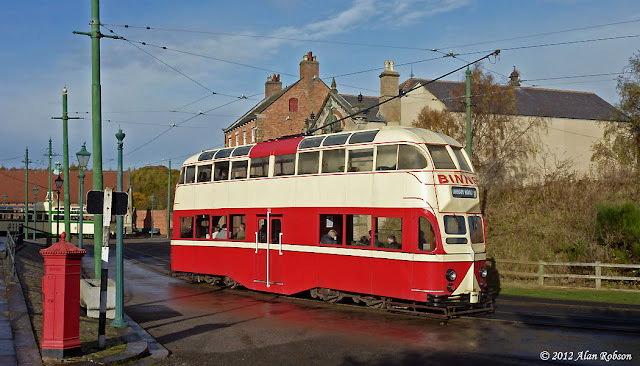 A visit to Beamish on Saturday 3rd November saw variable weather in the morning giving way to mostly sunny conditions in the afternoon, and all the photos shown here were taken during that visit. 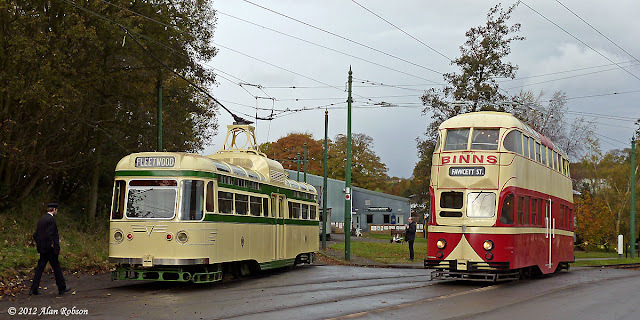 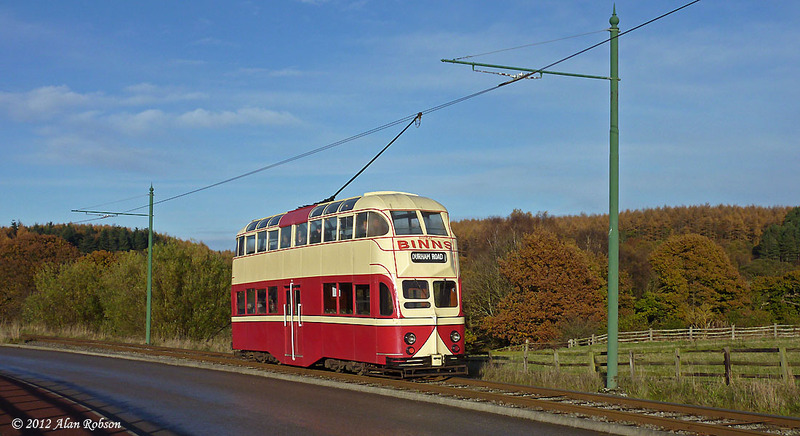 Coronation 304, Balloon 703 (in the guise of Sunderland 101) and Grimsby and Immingham 26 (aka Gateshead 10) were the trams operating on the Saturday, with 304 and 26 running clockwise, and 703 (101) operating anti-clockwise around the circuit. 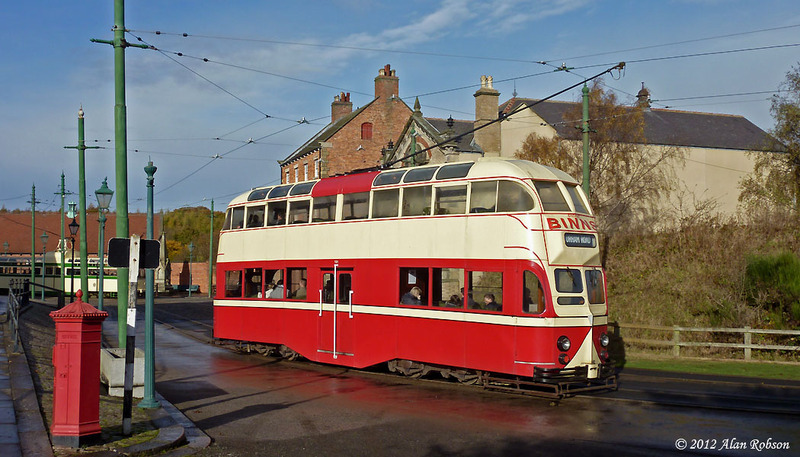 The Lancastrian Transport Trust's Coronation tram 304 had a close encounter of the Daimler kind at the Beamish open air museum during its first circuit of the morning on Saturday 3rd November. 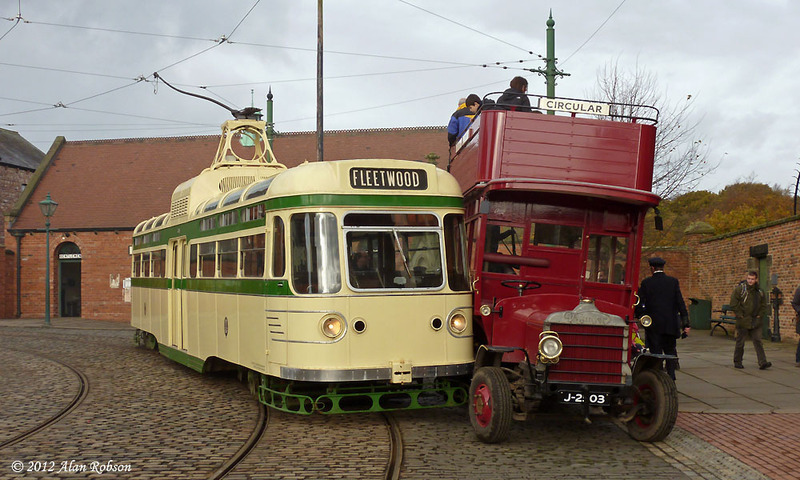 As 304 was pulling up at the town tram stop it grazed the side of replica 1913 Daimler bus J2503 which was parked outside the bank. 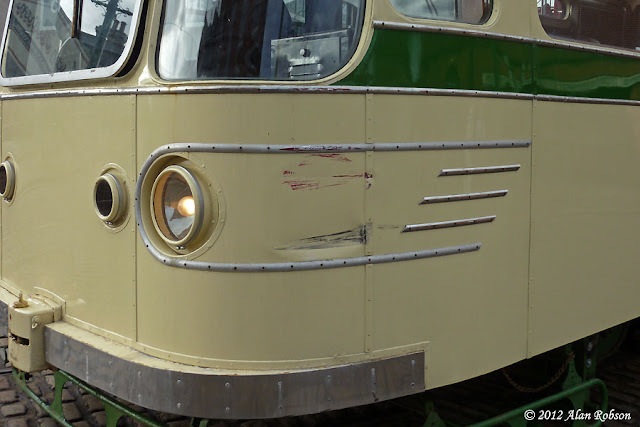 Not surprisingly the bus seems to have come off worse after the coming together, receiving several gouges on the offside panels and a chipped rear mudguard, Coronation 304 received a dented corner panel and some damaged beading. 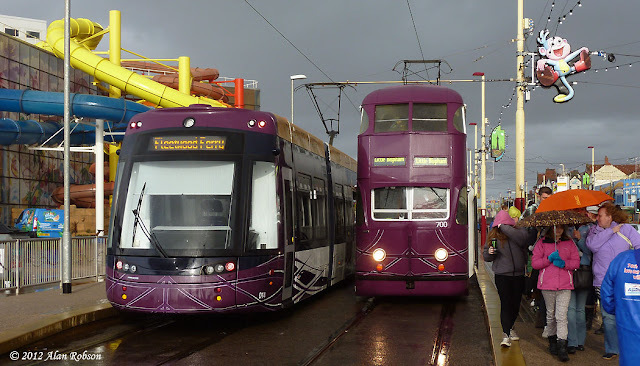 The last day of the widened Balloon experiment saw all three purple Balloons in service. 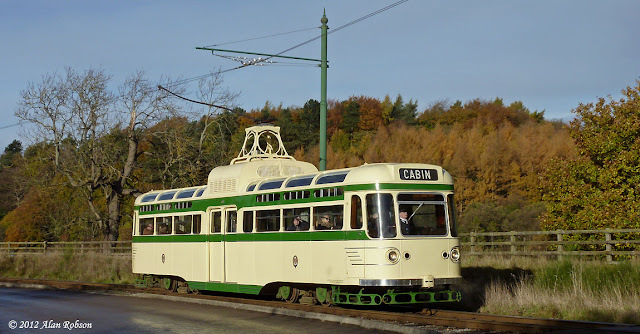 Recently completed 711 unexpectedly saw use on the last day of Balloon specials, providing a nice surprise for the many enthusiasts who had come along to sample the cars in service. The five Balloons that were allocated for use on the last day of specials were 700, 707, 709, 711 & 719. The weather was pretty atrocious again, beginning in the morning with hail showers, giving way to heavy cloud with a few brief gaps of sunshine, but at 2.15pm the sky went very dark and the heavens opened with heavy squally rain showers, which rapidly cleared the promenade of people. 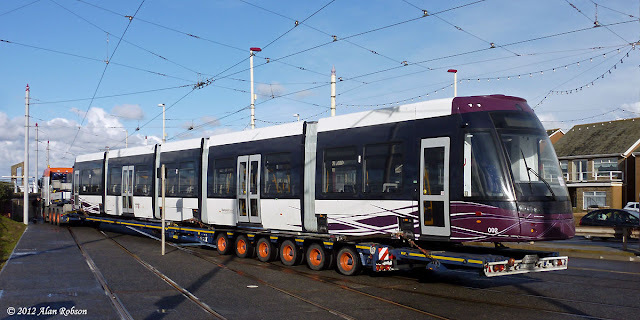 Flexity 002 finally returned from Germany today. 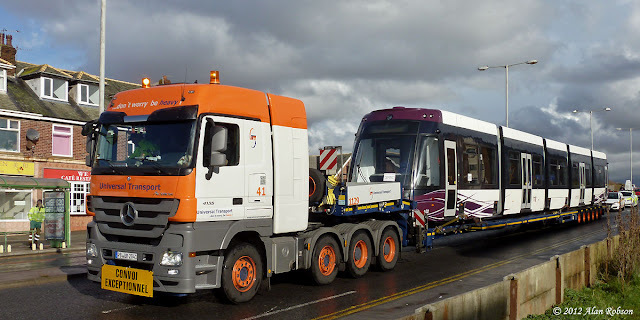 002 had departed for the Bombardier factory at Bautzen in Germany on May 12th. 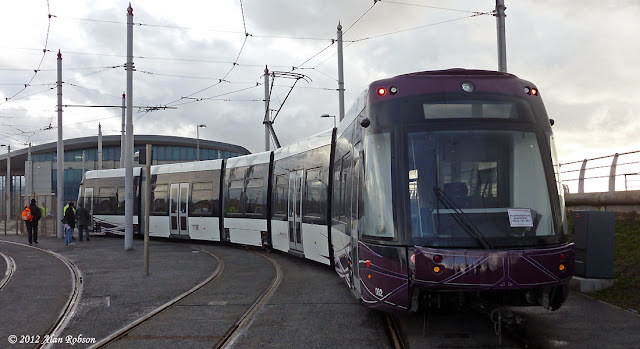 The tram had been returned to Bombardier for essential upgrade work to take place, while there 002 had received its vinyl branding and fleet numbers and was subsequently displayed at the InnoTrans rail transport technology trade fair at Berlin in September. 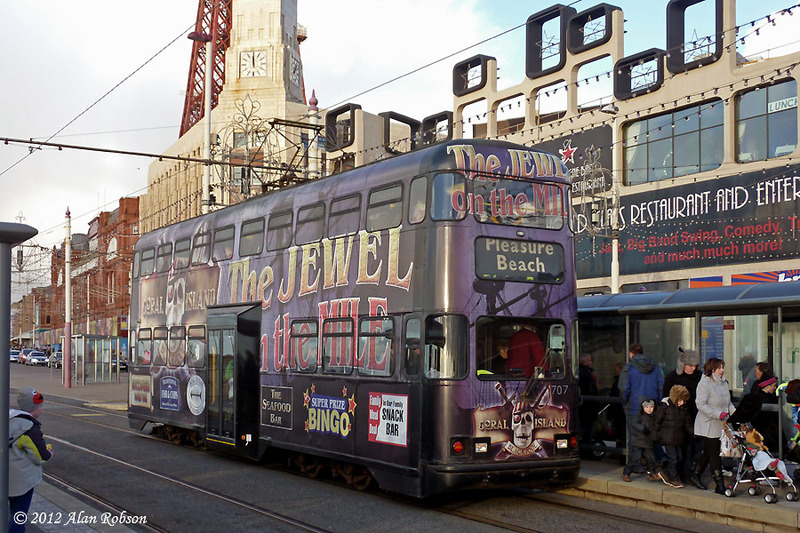 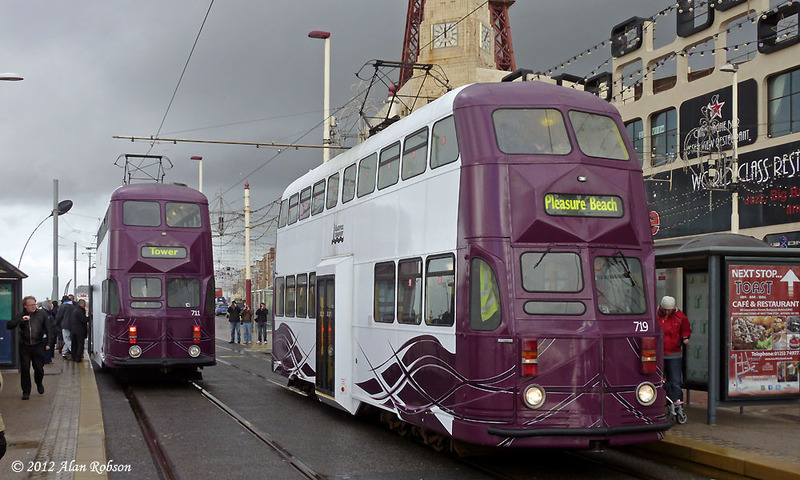 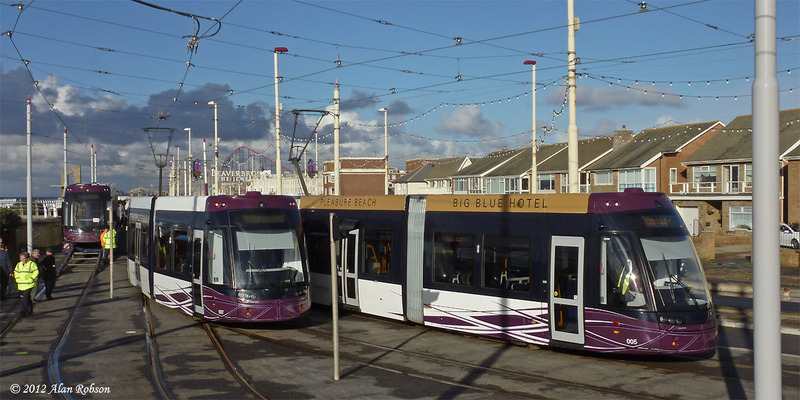 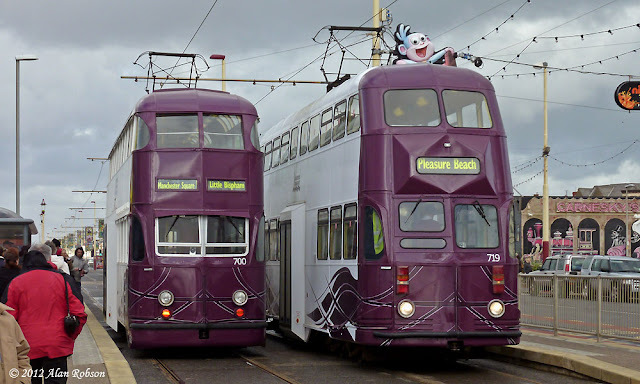 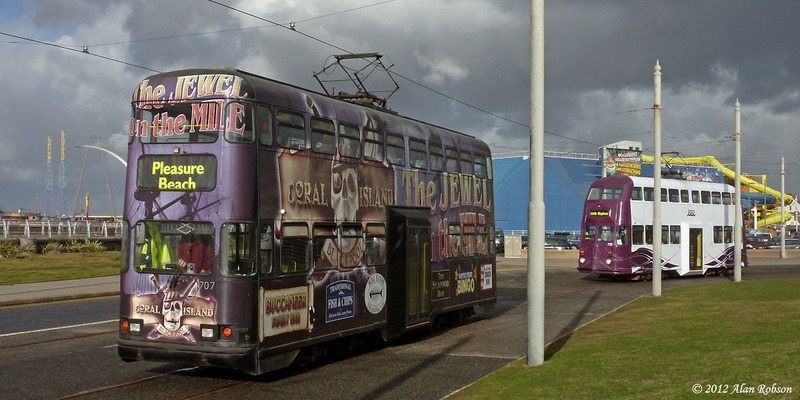 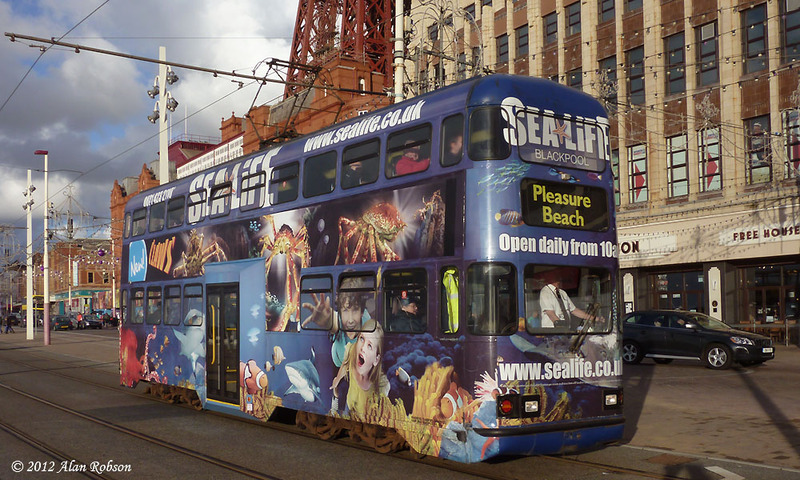 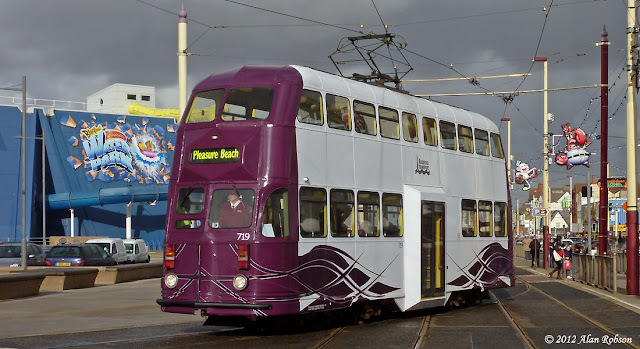 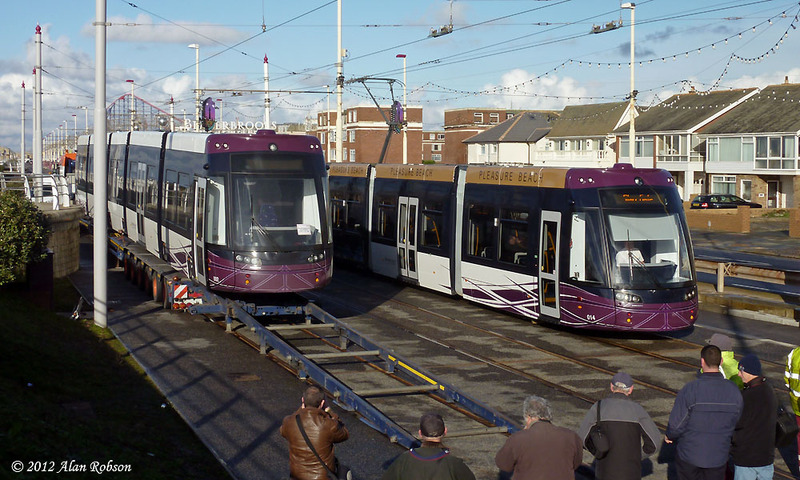 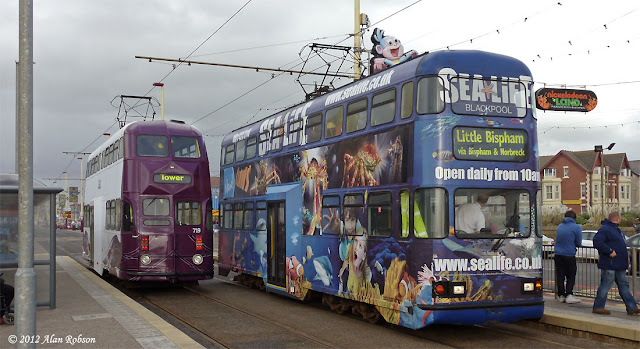 The return of 002 to Blackpool means that the tramway has now got its full complement of all sixteen Flexity 2 trams. This picture of 014 & 700 sums up the day, heavy cloud, cold winds, rain and sunshine, and all in one shot! The fourth day of Balloon use saw only four of the trams in use on specials, a fifth Balloon was unable to be used due to a lack of a driver. 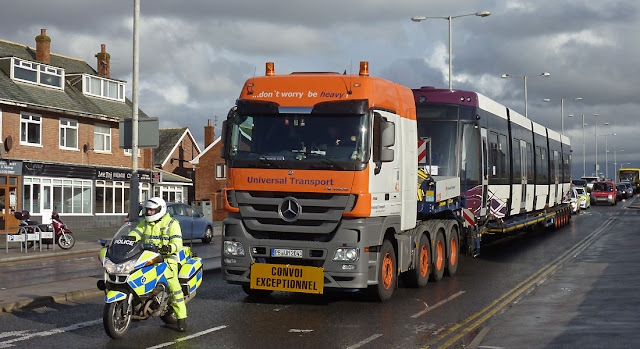 The four Balloons that made it out were 700, 718, 709 & 707, entering service in that order. 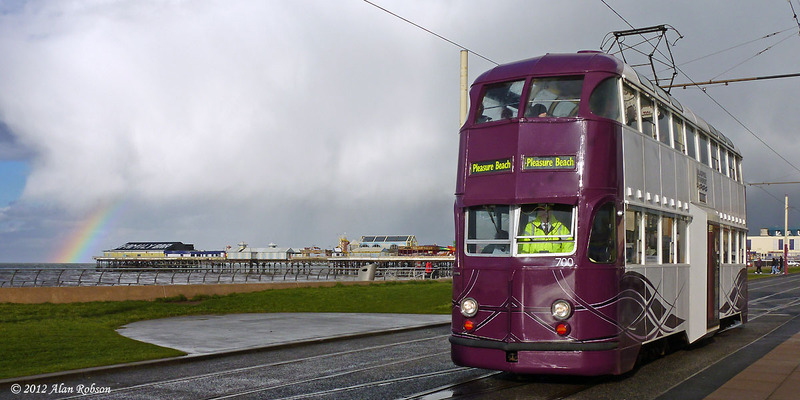 Thursday was a real mixed bag weather wise, with heavy cloud, occasional rain and hail showers, cold winds and even a few spells of sunshine!